The tour lasts approximately 2.5 hours. Nashville, TN is one of the most interesting cities in the United States. Because of its deep roots with country music and wide variety of landmarks, it can be a little intimidating when deciding what to see and do. Luckily, the Downtown Music City Tour provides guests with a unique way to explore the city and learn all about local history and culture. Differing than most large tours, these more intimate endeavors are perfect for small groups and families looking to learn about the city in a more personalized way. 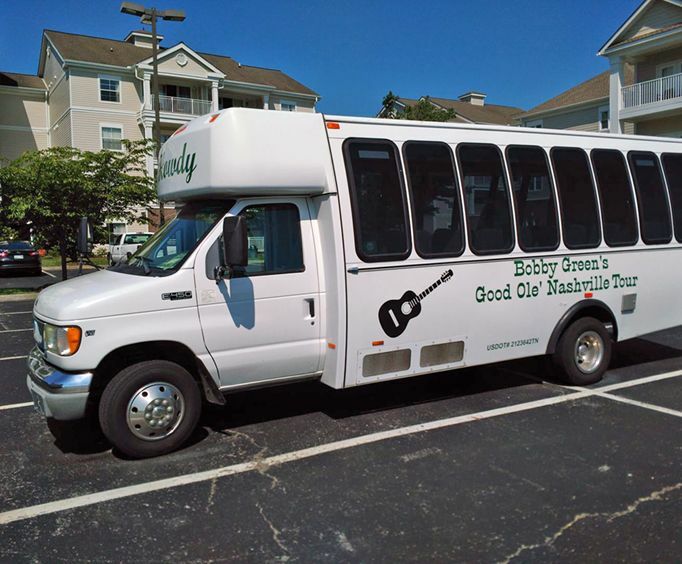 The charter van used is comfortable and tours only accommodate 13 people, so you have plenty of one-on-one time with your knowledgeable local guide. Only two people are required for tours to set out, so whether you want an interesting date night or want to see downtown Nashville with the whole family there's a tour for every occasion. The Downtown Music City Tour allows guests to see some of the most important parts of Nashville including the Parthenon, Music Row, Fort Nashborough, and more. The Bicentennial Capitol Mall State Park in Nashville is a sprawling urban park which features 19 acres of beautiful landmarks and more. Just a few of these features include the Tennessee Amphitheater, the Rivers of Tennessee Fountains comprised of 31 water fountains, and the Court of 3 Stars. This 18th-century fort was originally used as a stockade and the origins of Nashville itself. Fort Nashborough was comprised of 20 log cabins, which are currently accurately reconstructed to preserve the history of Music City. The fort saw use through the American Revolution. Music Row is probably one of the most famous landmarks in Nashville. This popular area is considered a historic district and has contributed much cultural significance. to the city. Music Row has been a pivotal district in country, gospel, and Christian music and is known as the "heart of Nashville's entertainment industry". Various famous recording labels, studios, and landmarks call this place home, including RCA's Studios B and A and the Country Music Hall of Fame. As the cornerstone of Tennessee government, the Tennessee Capitol Building is one of the most important places in the city. This building is home to Tennessee's General Assembly which oversees the state's legislature. It is also home to the governor's office and is preserved as a National Historic Landmark. Some of the notable features of the grounds include statues of Andrew Jackson and Andrew Johnson, both of whom were Tennessee citizens and former POTUS. Located in Centennial Park, the Parthenon serves as a gorgeous homage to ancient Greek architecture. As a full-scale replica, it truly captures the beauty of the original Parthenon in Athens, Greece. It also is home to an art museum and features stunning sculptures including that of the Greek goddess, Nike. The Ryman Auditorium is clearly one of the most famous performance venues in country music history. This 2000+ seat venue was the home of the Grand Ole Opry during the 1940s to the 1970s. 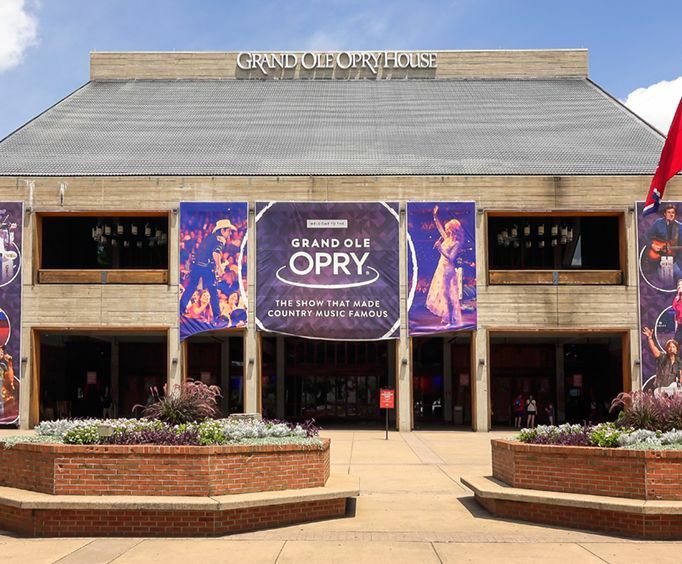 Currently, it sees Grand Ole Opry performances during Christmas and serves as a place to tour and discover the history of the country music industry. This university is one of the most renowned in the country. Vanderbilt is a private research university which was founded in 1873. Since then, it has seen hundreds of thousands of students through various degrees. This historic educational foundation remains one of the most intriguing colleges in the country and is wrought with history. As well as being able to see these sights, they'll be able to stop at the Ryman Auditorium and also the American Pickers Store which is featured on TV. Sit back and relax while uncovering the unique history and local life that calls Nashville, TN home. The Downtown Music City tour encompasses everything great about the city and shares it in a personal and fun way that will help you to create lasting vacation memories. Approximately how long does the Downtown Nashville Music City Tour last? It is approximately 2.5 hours. Where does the Downtown Nashville Music City Tour depart from? Bi-Centennial Mall, State Cpitol, Vanderbilt, Music Row, and more. Is photography / video recording allowed on the Downtown Nashville Music City Tour ?